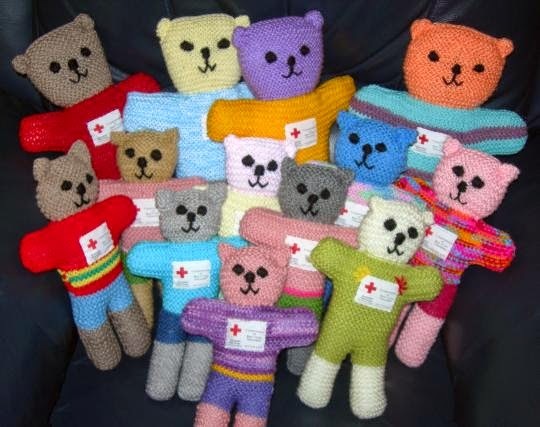 Trauma Teddy™ is a special bear knitted by volunteers and given to children and adults during traumatic times. If you are a willing and able knitter we would love to hear from you. New members are always welcome. Trauma Teddy™'s are not for sale. Red Cross will provide patterns and filling. For further information, please contact the regional centre in your area. There is also a Trauma Teddy Corner page on Facebook you can visit via the link above. The Craft Ministry connects crafters with people and organisations in need of handmade gifts. It is a central resource of giving opportunities, patterns, ideas and inspirations for people who want to craft for a cause.